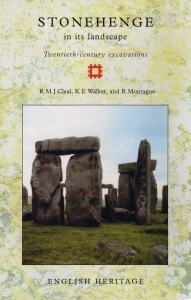 This volume represents a detailed discussion of the structural history of Stonehenge, arrived at by the integration of evidence from primary records of excavations carried out between 1901 and 1964. This volume represents a detailed discussion of the structural history of Stonehenge, arrived at by the integration of evidence from primary records of excavations carried out between 1901 and 1964. These major campaigns of excavation and recording include those of Prof William Gowland (1901); Lt-Col william Hawley (1919-26); Profs Stuart Piggott and Richard Atkinson with J F Stone (1950, 53-5,56,58 and 64) and some smaller, previously unpublished campaigns as well as more recent, small-scale excavations which are already published. The evidence for the use of the monument from the Middle Neolithic to the present day is discussed in terms of its landscape and social settings. The evidence for the rephasing of the monument, including artefactual and ecofactual assemblages, details of the radiocarbon dating programm, geophysical surveys, transcripts of all available field plans, sections, and stone elevations is presented together with a variety of summary lists, concordances, and a guide to the site archive. A new suite of radiocarbon determinations has been obtained which redefines our understanding of the sequence of construction and use of the monument and augments the surviving archaeological evidence.